a summer" saw snow throughout the summer and crops could not grow. Great masses of U.S. farmers moved from New England to the Midwest and Central Plains seeking a better climate for growing crops. This mass migration and population of the American Midwest was all because of a volcanic eruption on the other side of the world. Tambora is located in the Indonesian region, a chain of thousands of islands that stretch from southeast Asia to Australia. 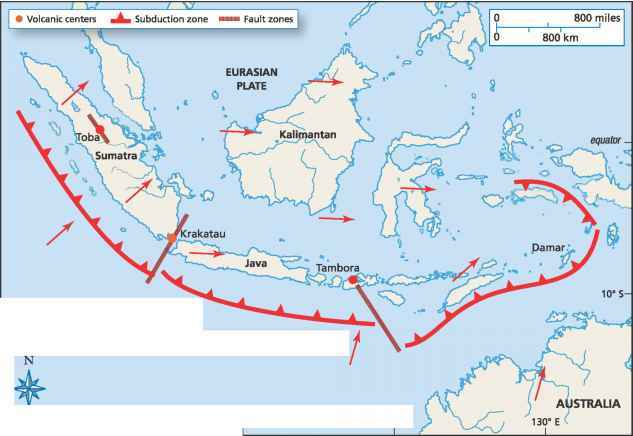 The tectonic origins of these islands are complex and varied, but many of the islands along the southwest part of the chain are volcanic, formed above the sumatra-sunda trench system. Fertile soils host tropical rain forests, many of which have been deforested and replaced by tobacco, tea, coffee and spice plantations (hence their nickname, "spice islands"). This trench marks the edge of subduction of the Australian plate beneath the Philippine-Eurasian plates, and formed a chain of convergent-margin island arc volcanoes above the subduction zone. Tambora is one of these volcanoes, located on the island of Sumbawa, east of Java. Tambora is unique among the volcanoes of the Indonesian chain as it is located farther from the trench (210 miles; 340 km) and farther above the subduction zone (110 miles; 175 km) than other volcanoes in the chain. 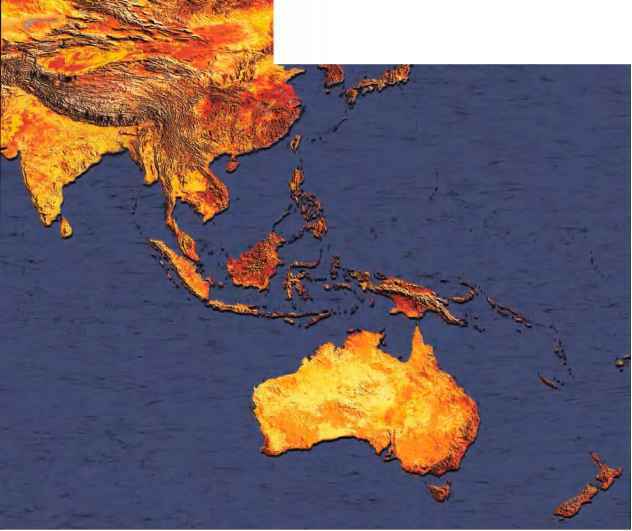 This is related to the fact that Tambora is located at the junction of subducting continental crust from the Australian plate and subducting oceanic crust from the Indian plate. A major fault cutting across the convergent boundary is related to this transition, and the magmas that feed Tambora seem to have risen through fractures along this fault. Tambora has a history of volcanic eruptions extending back at least 50,000 years. The age difference between successive volcanic layers is large, and there appears to have been as many as 5,000 years between individual large eruptions. This is a large time interval for most volcanoes and may be related to Tambora's unusual tectonic setting far from the trench along a fault zone related to differences between the types of material being subducted on either side of the fault. In 1812 Tambora started reawakening with a series of earthquakes plus small steam and ash eruptions. Inhabitants of the region did not pay much attention to these warnings, having not remembered the ancient eruptions of 5,000 years past. On April 5, 1815, Tambora erupted with an explosion heard 800 miles (1,300 km) away in Jakarta. Ash probably reached more than 15 miles (25 km) into the atmosphere, and this was only the beginning of what was to be one of history's greatest eruptions. Five days after the initial blast a series of huge explosions rocked the island, sending ash and pumice 25 miles (40 km) into the atmosphere, and sending hot pyroclastic flows (nuées ardentes) tumbling down the flanks of the volcano and into the sea. When the hot flows entered the cold water, steam eruptions sent additional material into the atmosphere, creating a scene of massive explosive volcanism and wreaking havoc on the surrounding land and marine ecosystems. More than 36 cubic miles (150 km3) of material were erupted during these explosions from Tambora, more than 100 times the volume of the Mount St. Helens eruption in Washington State of 1980. Ash and other volcanic particles such as pumice from the April eruptions of Tambora covered huge areas that stretched many hundreds of miles across Indonesia. Towns located within a few tens of miles experienced strong, hurricane-force winds that carried rock fragments and ash, burying much in their path and causing widespread death and destruction. The ash caused a nightlike darkness that lasted for days even in locations 40 miles (65 km) from the eruption center, so dense was the ash. Roofs collapsed from the weight of the ash, and 15-foot (4.5-m) tall tsunamis were formed when the pyro-clastic flows entered the sea. These tsunamis swept far inland in low-lying areas, killing and sweeping away many people and livestock. A solid layer of ash, lumber, and bodies formed on the sea extending several miles west from the island of Sumbawa, and pieces of this floating mass drifted off across the Java Sea. Although it is difficult to estimate, at least 92,000 people were killed in this eruption. Crops were incinerated or poisoned, and irrigation systems destroyed, causing additional famine and disease after the eruption ceased, killing tens of thousands of people who had survived the initial eruption, and forcing hundreds of thousands to migrate to neighboring islands. 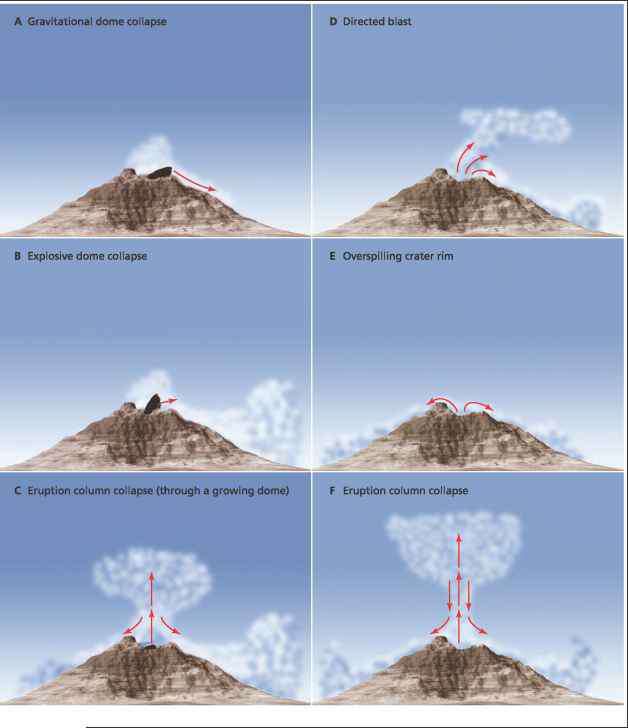 The atmospheric effects of the eruption of Tambora were profound. During the eruptions Tambora shot huge amounts of sulfur dioxide and steam into the atmosphere and contaminated surface and groundwater systems. Much of the sulfur dioxide rained onto nearby lands and islands, causing illness including persistent diarrhea. Huge amounts of gas also entered the upper atmosphere, causing changes in weather patterns throughout the world. In the upper atmosphere sulfur dioxide combines with water molecules to form persistent sulfuric acid aerosols, which reflect large amounts of sunlight to space and cause a global cooling effect. Weather data show that the Northern Hemisphere experienced temperatures as many as 10 degrees Celsius cooler than normal for three years following the eruption, and much of that cooling is attributed to the aerosols in the upper atmosphere. The Indian Ocean monsoon was disrupted to such an extent that some regions expecting rain were plagued with drought instead, then when the rains were supposed to end, they finally came—but too late for the crops. Widespread famine, then an epidemic of cholera, engulfed north India and surrounding areas (present-day Pakistan and Bangladesh). In eastern China the Yangtze and Yellow Rivers experienced severe floods, destroying crops and killing many people. The cholera plague that started in India soon spread to Egypt, killing 12 percent of the population, then to Europe, where hundreds of thousands perished. The global outbreak soon spread to North America, hitting the immigrant cities of New York and Montreal with particular severity, where hundreds of people died each day. The cholera plague, lasting from 1817 through 1823, is one of the long-term secondary hazards of volcanic eruptions. The uncountable deaths from the secondary effects of the eruption thus far outnumber the deaths from the initial eruption. The year 1816 is known as the "year without a summer," because of the atmospheric cooling from the sulfur dioxide released from Tambora. Snow fell in many areas across Europe and in some places was colored yellow and red from the volcanic particles in the atmosphere. Crops failed, people suffered, and social and economic unrest resulted from the poor weather. Then the Napoleonic Wars soon erupted. Famine swept Europe, hitting France especially hard, with food and antitax riots breaking out in many places. The number of deaths from the famine in Europe is estimated at another 100,000. North America also suffered from the global cooling from Tambora. The New England states were hardest hit, experiencing a cold drought, with deep frosts and snow storms even in the typically summer months of June, July, and August. Crops failed, livestock had nothing to eat and perished, and many farmers resorted to fishing in streams to get food for their animals. Others were unable to cope with loss of crops and rising food prices, and many became poor and dependent on charity. others migrated to the fertile warmer plains of the American Midwest, expanding the country's wheat belt westward. Map of Indonesia showing the locations of Tambora and Krakatau, both along faults above a subduction zone ease, global epidemics, loss of crops, and changes of climate are taken into account, the numbers of those affected climbs by hundreds of thousands, millions, or more. What plate boundary caused the year without summer?